He was a self-employed painter. He was a native of Adair County, KY, and a resident of the county at the time of his death. He was the son of the late J.M and Mae Bernard Franklin and a member of a widely known family. He leaves five direct and one step- living descendants. His final resting place will be in Beulah Chapel Cemetery. Steve Franklin, 57, of Columbia, KY, died Wednesday, April 11, 2018 at 7:57amCT, at his residence after an illness. At Steve's request, cremation has taken place and a Memorial Service will be Monday, April 16, 2018 at 1pmCT. at Beulah Chapel Cemetery, next to Beulah Chapel Church, 4262 Liberty Road, Columbia, KY. There will be no visitation. He was born Monday, November 28, 1960, in Adair County, KY. He was the son of the late J.M. and Mae Bernard Franklin. 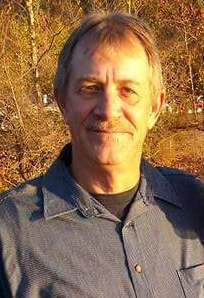 He died Wednesday, April 11, 2018, in Columbia, Adair County, KY, at the age of 57 years, four months, and 14 days. In addition to his parents, he was preceded in death by two siblings; Jimmy and Marie Franklin. He was a self-employed painter. 2018-04-11 - 200 Campbellsville Street, Columbia, KY - Photo from Grissom-Martin Funeral Home.